A 26-year veteran of the fire service, Captain Jason Emery has been with the Waterbury FD (CT) for 21 years, and is currently assigned to Rescue 9. He has lectured extensively on alternative fuel vehicles, and has published numerous articles on the subject. Jason has served as a Subject Matter Expert for the NFPA, and the lead instructor for their Alternative Fuel Vehicle safety training program. He is a member of the SAE 2990 Task Force: Hybrid and EV First and Second Responder Task Force. Jason also instructed as part of the Chevrolet Volt training team for first responders throughout the country. 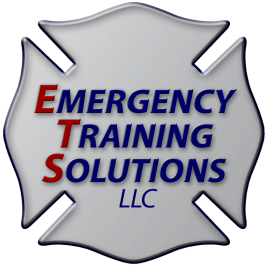 He is the owner and founder of Emergency Training Solutions, LLC (ETS). Since 2000, ETS has produced cutting edge PowerPoint-based training programs, and provides a variety of onsite training services. Pennwell Corporation selected Jason Emery and ETS to be the lead developer for the PowerPoint companion materials for the Fire Engineering Handbook for Firefighter I and II. He is a graduate of the University of New Haven with a bachelor’s degree in Fire Science and holds numerous fire service certifications.